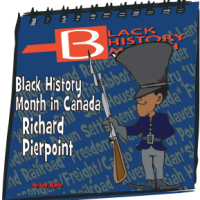 Black History Month Articles | Canadian History for Kids! 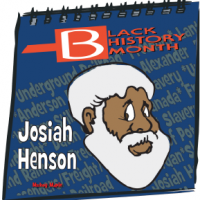 Josiah Henson gained sudden popularity because his life experiences were an inspiration for Harriet Beecher’s 1851 anti-slavery novel, Uncle Tom’s Cabin; or Life Among the Lowly. Henson was born to slave parents on June 15, 1789 in Charles County, Maryland. He was given the first name of his first master, Dr Josiah McPherson, and the surname of his master’s uncle. Henson was sold to three owners before he escaped to Canada in 1830. He was separated from his family when he was first sold away at the age of five. But he was reunited with his mother when he was sold to his third owner, Isaac Riley. Black History Month in Canada festivities are celebrated every year honouring the legacy of black Canadians, past and present. This year, Black History Month celebrates the contributions of black soldiers who fought in the war of 1812. On June 18, 1812, the United States declared war on Great Britain. Britain at the time were also at war with France and their leader Napoleon. Much of the war was fought at sea and on the Great Lakes but the American army also tried to invade Canada. Anderson Ruffin Abbott was born in Toronto in 1837. His parents, Wilson and Ellen Abbott, were free people of colour who came to Canada in 1835. His parents wanted the best for their children, and realized that having an education was an important way of gaining opportunities, particularly for people of African descent. At an early age, Anderson was enrolled in Buxton Mission School in the Elgin Settlement, located near Chatham, Ontario. He later attended Oberlin College’s Preparatory Department in Ohio, where he received the equivalent of high school courses that prepared him for university. In 1822, Reverend Rankin accepted a call from the Presbyterian Church at Ripley, Ohio. It was here that the famous “Abolition Letters” were written. These were a series of anti-slavery letters to his brother that were published by the editor of the local Ripley newspaper The Castigator. As an abolitionist, Rankin realized his work in “The Underground Railroad” needed a useful location. 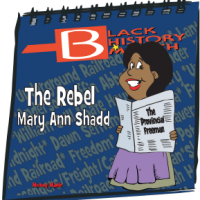 Mary Ann Shadd was born on October 9, 1823 in Wilmington, Delaware the eldest of 13 children. Her parents were free African Americans and raised their children to be dedicated to the abolition of slavery. 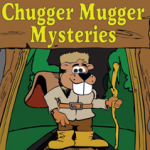 As a child, Mary’s father’s shoemaking business was known to be a part of the underground railway. She encountered many frightened slaves fleeing to Canada. The education of black people was illegal in Delaware at the time, so in 1833, the Shadd family moved and Mary attended a Quaker school for black children in West Chester, Pennsylvania. 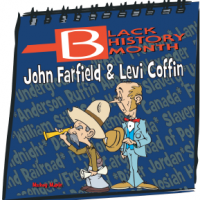 This Canadian History for Kids exclusive looks at the heroic deeds of two men, John Fairfield and Levi Coffin, who were conductors on the Underground Railroad. 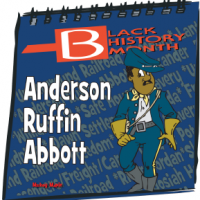 This story is a apart of our continuing Black History Month series. 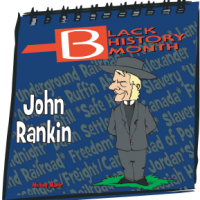 Hailing from a slaveholding family in Virginia, Fairfield, who disliked slavery, became involved in the Underground Railroad when he helped a slave friend escape to Canada. Subsequently other black people, presumably in the Ohio area where he spent a lot of time, sought him out and paid him to help their relatives and friends escape.